It’s time to eat Tang Yuan (汤圆)!! The traditional East Asian calendars divide a year into 24 solar terms (節氣). Dōngzhì (冬至; literally: “winter solstice”) is the 22nd solar term. It begins when the Sun reaches the celestial longitude of 270° and ends when it reaches the longitude of 285°. It more often refers in particular to the day when the Sun is exactly at the celestial longitude of 270°. 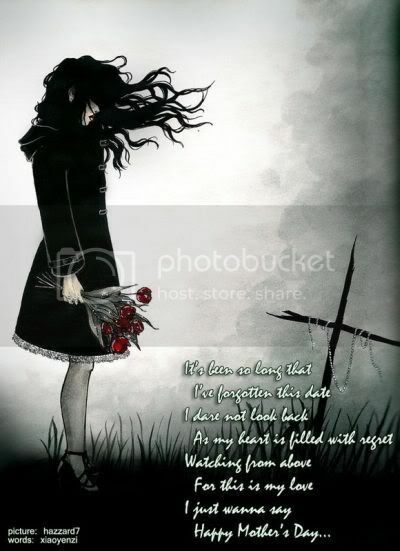 In the Gregorian calendar, it usually begins around December 21 (December 22 East Asia time) and ends around January 5. In China, Dongzhi was originally celebrated as an end-of-harvest festival. 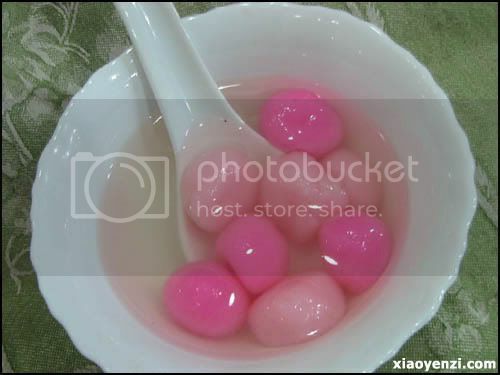 Today, it is observed with a family reunion over the long night, when pink and white tangyuan are eaten in sweet broth to symbolize family unity and prosperity. DuanWu Festival (端午节/DuanWu Jie) also known as the Dragon Boat Festival, is one of the most important traditional Chinese festivals celebrated by the Chinese. This festival has many other Chinese names which refer to the same day and there’s many saying of how this festival was started back in the olden days. The Dragon Boat Festival or Dumpling Festival or simple just DuanWu Jie, is celebrated on the 5th day of the 5th month of the Lunar year (Chinese Calendar; Which is today). There are many stories behind this festival for how and why it is celebrated. One of the most popular saying is that this festival is celebrated as a remembrance of the great patriotic poet Qu Yuan (屈原). It was said that under certain occasion, Qu Yuan was isolated and felt sad about the country until then he jumped into the river to end his life. When the villagers knew about this, they quickly rowed their boats and hoped to rescue him, and another saying is they didn’t want Qu Yuan’s corpse to be eaten by fish (or scared that he would be hungry down under the river), they made a lot of dumplings (known as Zong Zi or 粽子 – rice wrapped in bamboo leaves) to feed the fish (or him – either way of the legend). We had a great dinner last night. And it was really funny when we ran back to the parking lot when it was raining heavily. Just the 3 of us, Dad, sis and me =)Happy Father’s Day to all the daddies out there. 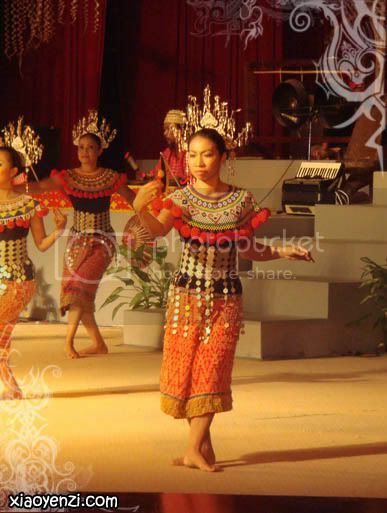 1st June, it’s the Gawai Festival – an event celebrated by the local races in Sarawak. It’s actually the harvest festival. People gather together to celebrate a time of good harvest. In fact, it is known as Gawai Dayak which originally celebrated by the Ibans. The Gawai Dayak festival is celebrated every year on the 1st of June, at the end of the harvest season to worship the Lord Sempulang Gana. On this day, the Ibans get together to celebrate, often visiting each other. The Iban traditional dance, the ngajat, is performed with the accompaniment of the taboh and gendang, the name of the Ibans’ traditional music. Pua kumbu, the Iban traditional cloth, would be used to decorate houses. Tuak, which is rice wine, would be served to guests. I went to the Sarawak Cultural Village with my boyfriend to experience the Gawai celebration. Lastly, Selamat Gawai and wishing you gayu guru gerai nyamai (long life, health and prosperity). Wish you a very prosperous Chinese New Year – the year of Pig. As a gamer, I played a song called Gong Xi Jam in O2Jam to wish all of you Happy Chinese New Year!!! – Speed: X3Gong Xi Fa Cai! !